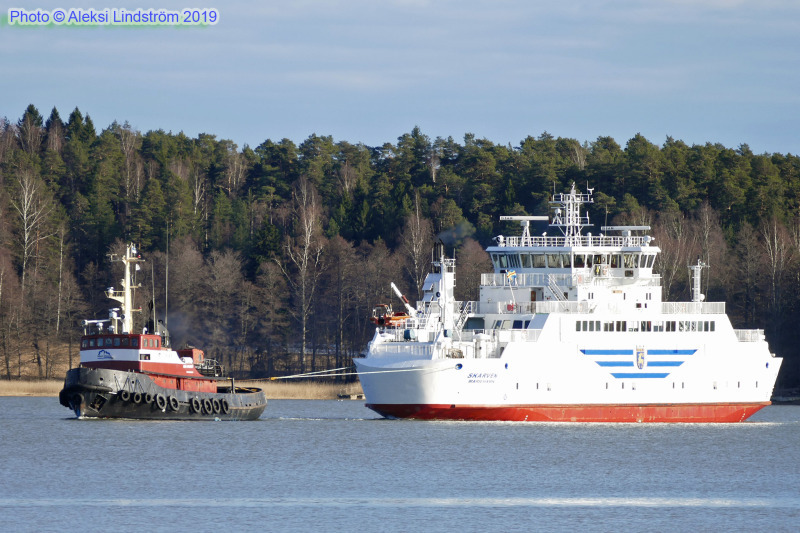 April 14, 2019: SKARVEN passing Strömma Canal, Finland after grounding in Åland Islands waters on April 12, 2019. Heading for dry docking at Teijo, Finland. IMO 9436630. Details HERE. AJAX IMO 5400267. Specs CLICK.